Leafy Green Machines are operational at a wide variety of business parks, educational campuses, and retail locations around the world. How could a working farm on site change your organization? 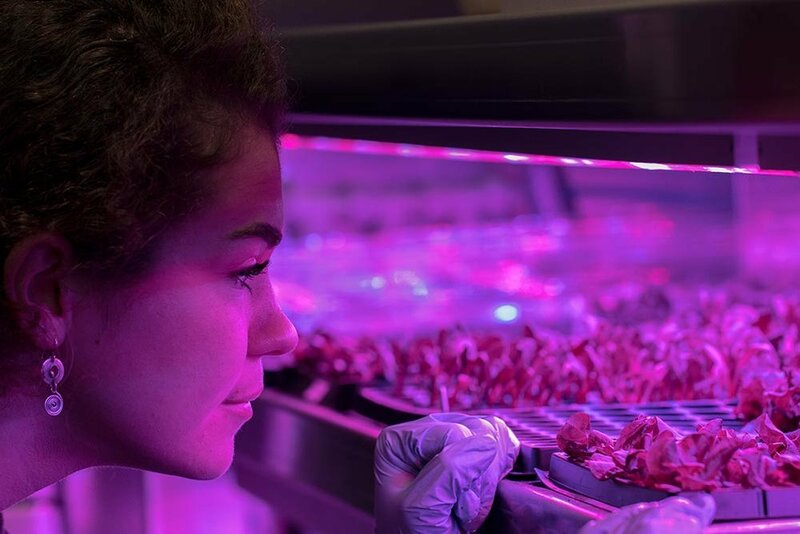 Grow over 500 heads of premium salad greens weekly, with consistent cost and quality. Offer a diverse CSA, farm-share, or co-op program for students, staff, or residents. In our experience, just one LGM can supply the kitchen or salad bar for a 100-seat cafeteria. Since freight containers are literally made to travel, Freight Farms can be installed almost anywhere. Here are just a few businesses and institutions benefiting from a Leafy Green Machine on the premises. B.GOOD installed an LGM right beside their supplier, easily integrating with their existing supply chain. Dassault Systèmes enjoys a Farm-to-Office CSA program for 50+ employees at their Waltham, MA campus. Clark University’s student-run LGM is part learning environment, part produce supplier for the cafeteria nearby. We’ve launched hundreds of Leafy Green Machines all over the world, on countless educational and business campuses. Farming on yours will take a few steps, but we can help with all of them. How will your people benefit from a farm on the premises? Salad bar supply, an on-site CSA? It’s your call. No construction is required. The Leafy Green Machine requires only a flat plot with access to water & electricity. We can assist you with financing strategies or lease-to-own contracts. Contact us for more detail. We’ll train your operator at our headquarters in Boston. 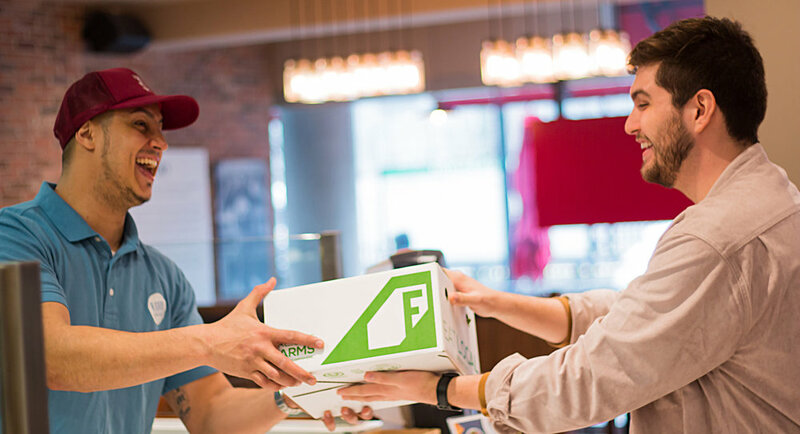 Or, opt for Grown by Freight Farms, our service option. Time for the ribbon-cutting! You’ll start harvesting in as little as 4 weeks, and achieve full production in 8 weeks. Show the world how you’re demonstrating your commitment to sustainability. We can help with marketing prints, e-mails, & PR. There’s a lot more to know: from support services to financial projections. We suggest you start with these links, or reach out to us directly to learn more. Where did 2018 take us? Underground and overseas! Just how bad for you are these food-related chemicals? Is your dining hall ready for Gen Z? Everything's a subscription now... even farming! How do we feed 7 billion people?